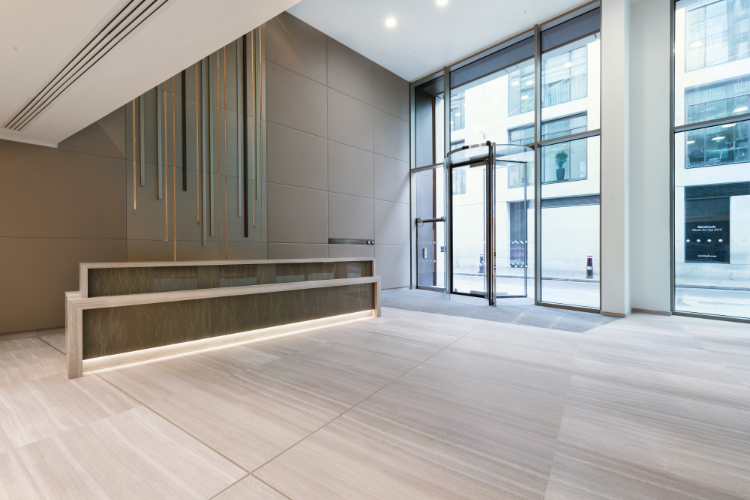 Located on one of the most historic streets in the City of London, the tp bennett designed office development at 30 Lombard Street for McKay Securities PLC has reached completion. The 58,500 nett sq. ft landmark building, known as Aurum, is a rare addition to the commercial office buildings of this size in the City. 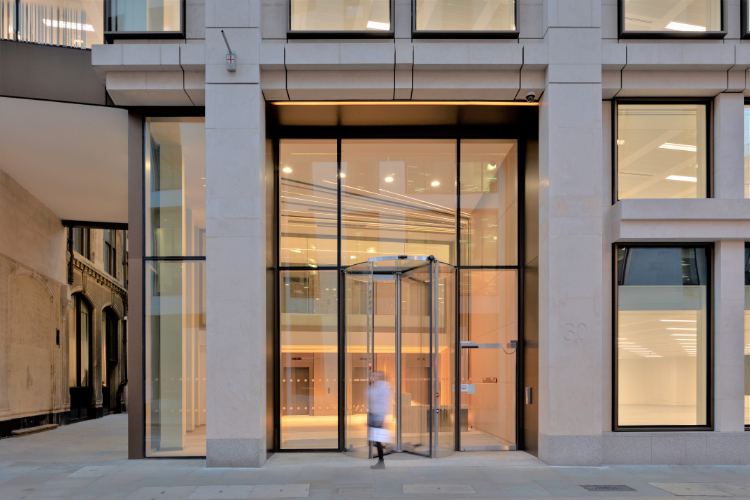 The building spans 11 floors and will be occupied by FTSE 100 wealth manager, St James Place. 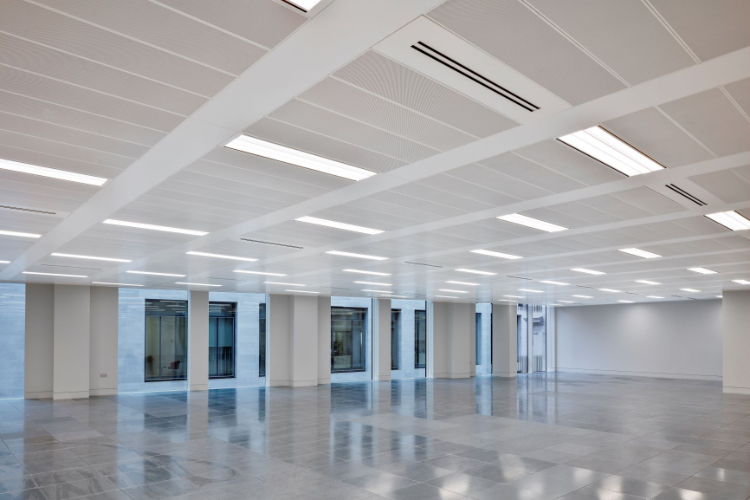 The flexible floorplate includes an open, column free space, appealing to occupiers looking for maximum flexibility. The upper floors feature full height windows to maximise daylight and views of this eminent location. 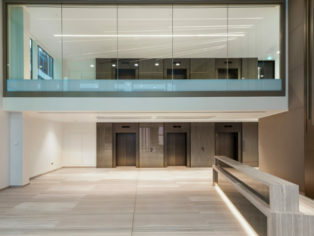 Situated in a Conservation area renowned for its banking history, the design of this high-quality building responded to the site’s heritage, aligning to the Client’s aspirations to create a timeless piece of architecture that maximises the potential of its location is aesthetically modern, elegant and nuanced. The highly constrained site, with its narrow streets, and irregular footprint tested tp bennett’s experience of realising projects that require complex engineering solutions. 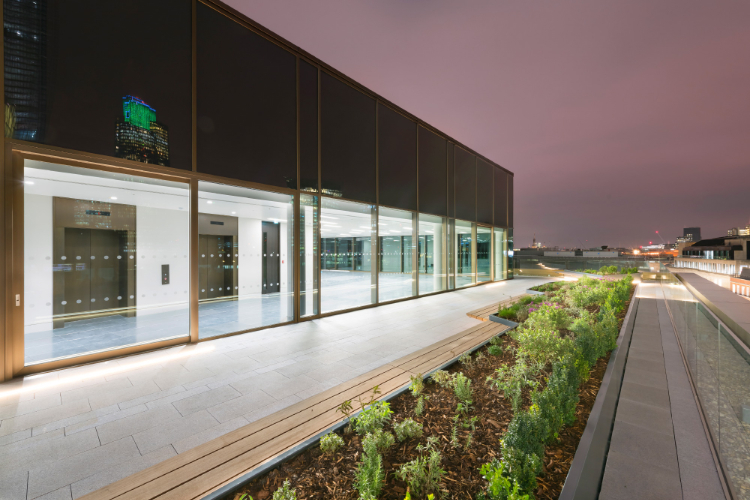 The materials of this high-quality office building bridges the traditional and modern, by using an authentic palette of stone, bronze and glass within a contemporary construction that acknowledges its historic neighbours. The Lombard Street façade also features unique artwork by renowned artist Kate Maestri, who created a motif inspired by gold threads, symbolising the history of weaving that in turn evolved into the banking sector. 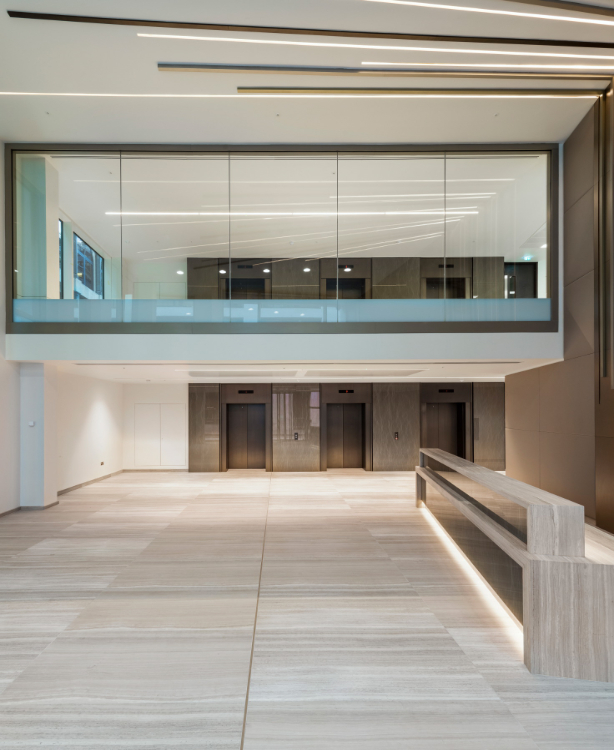 The double-height glazed entrance foyer leads to the bronze clad lifts and to the column free floorplates. Reinforcing its status as an HQ building, at ninth floor a 2,300 sq. ft roof terrace provides panoramic views of the 17th century Wren designed St Edmunds church opposite, as well as other iconic city buildings. Knight Frank and Savills acted on behalf of McKay while Doherty Baines acted for St. James’s Place.